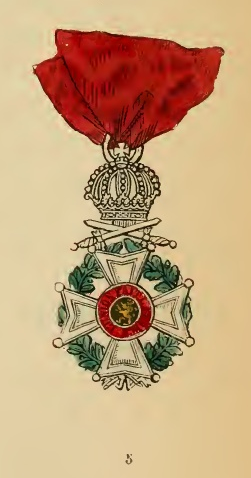 This Order was founded on the 1 1th July, 1832, and has been divided, since 1838, into five classes - Knights of the Grand Cross, Grand Officers, Commanders, Officers and Knights. The nomination is made by the King, as Grand Master. 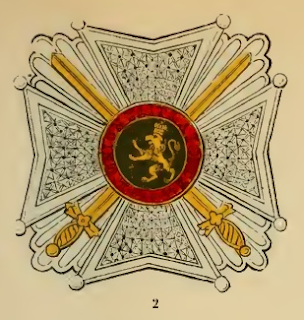 Members of the two Chambers, who receive the Order from other motives than merely military distinction, are subject to a new election. Privates and sub-officers who are Knights of the Order, enjoy, until their promotion, an annual pension of 100 francs (£4). 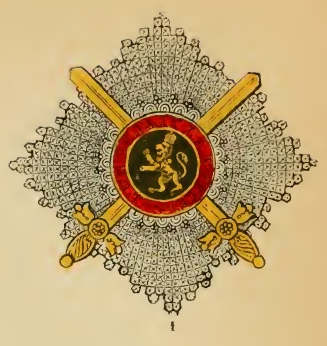 The motto of the country, "L'union fait la force" (Union constitutes power) is also that of the Order. the button-hole, but without a bow, and suspended by a much narrower ribbon. Illustration 6, represents the reverse of the insignia. 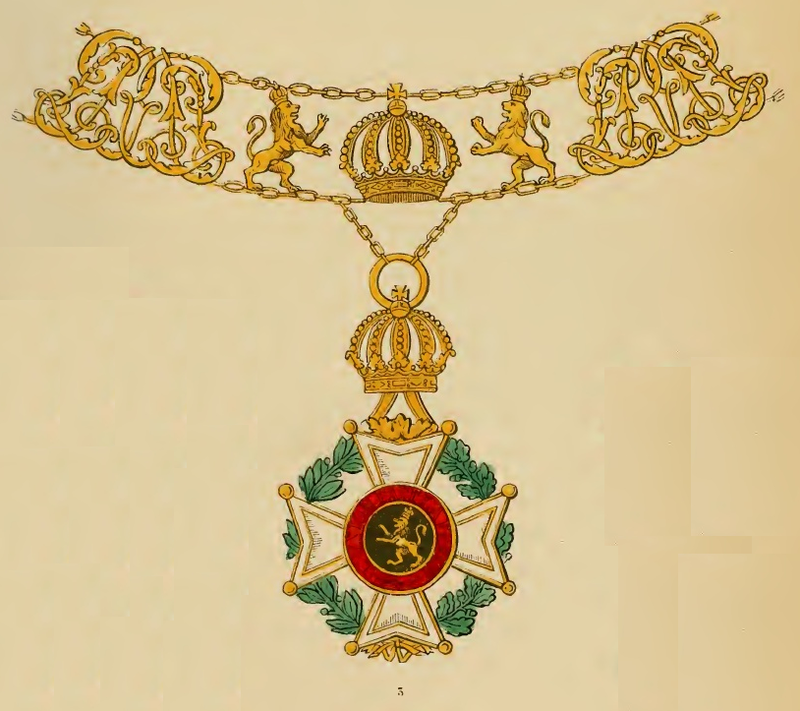 The gold chain worn on solemn occasions by the Knights of the Grand Cross (No. 3) consists alternately of the crown or lion, and the initials in monogram L. R. (Leopoldus Rex). 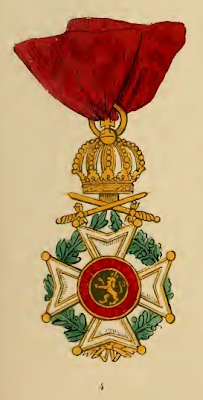 The insignia of the military members of the Order are distinguished by two crossed swords of gold (with the Knights only of silver), fixed, with the first class, in the centre of the star, adorned with the motto of the Order and the Belgian Lion, and with the three other classes below the crown above the star. By decree 8th November, 1832, the administration of the Order is transferred to the Minister of Foreign Affairs.